Featured in main subscription box on 2 November 2017. The 3/9 Project was organised and hosted by Harbour Brewing Co in collaboration with our very own BeerBods. You can find Harbour on Twitter at @HarbourBrewing and on Instagram at @harbourbrewing. Deschutes (USA); Twitter: @DeschutesBeer; Instagram: @deschutesbeer. 6 Degrees North (UK); Twitter: @sixdnorth; Instagram: @sixdnorth. Whiplash (IRE); Twitter: @whiplashbeer; Instagram: @whiplashbeer. Watch out for this one. When I had a can back in August it was extremely lively. Pour carefully! Serve this beer at 7°C to 10°C; at least an hour in the fridge, maybe up to 90 minutes. Be wary of overchilling – too cold and the flavours disappear. On the 3/9 Project website this beer is described as “a boozy saison with rye, oats, maize, lemon peel and caraway seeds”. On top of which, we know that the hops used were Azacca (citrus, mango, pine) and Goldings (spicy, honey, earthy). It was brewed with Belle Saison yeast, which gives the farmhouse, fruity, and spicy flavours for which the style is known. So we can expect funk ‘n’ fruit, yes, and citrus too with a kick from the high ABV to finish us off. But there’s something else in there too, a flavour floating along the line between almond and acetate. Maybe it was the caraway? I couldn’t quite pin it down last time. Maybe I’ll do better tonight. Although they’re very versatile, I think saisons do best paired with rustic food. Look for robust flavours; anything too mild will just be blown away by the beer. Get some funky cheese in, something goaty would be ideal. Look for earthy aromas that will complement the brettanomyces funk from the beer. Also, get some charcuterie – a peppery salami should work nicely with the pepper notes that saison yeast can impart. The tang and fizz from the beer should easily cut through any fattiness from the cheese and meat. For a veggie or vegan option explore the classic carrot and caraway combo. You could try a carrot and apple salad with walnuts and raisins. An orange and caraway dressing should zing this up nicely. The goat’s cheese would also work well in this. 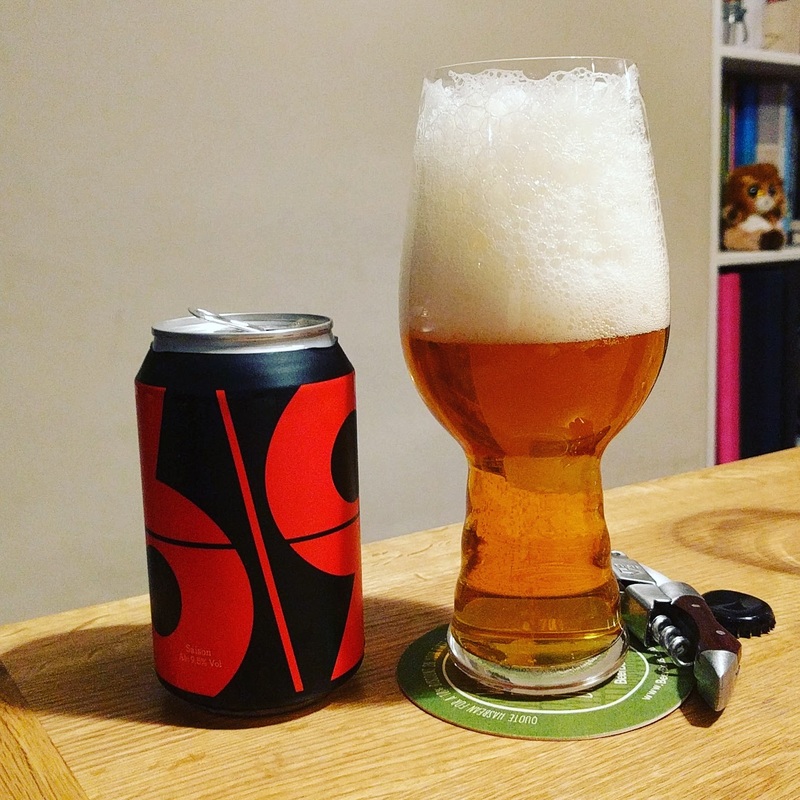 Read more on this beer from BeerBods.